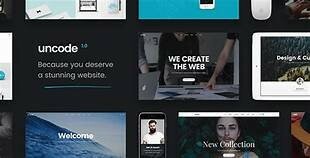 WP Themes (Build an Awesome Websites). 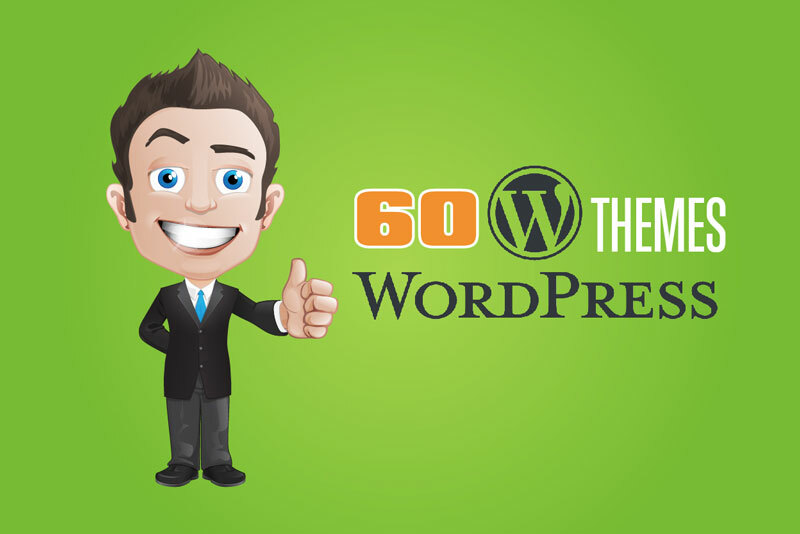 This is the most complete list of WordPress Themes on the Web….Period!!! The #1 WordPress Themes Guide. So if you’re looking for a Stunning Responsive WordPress Theme design with a wide variety of features, this list is for you. Smartbuy is a WordPress ecommerce theme that is based on a WooCommerce plugin. 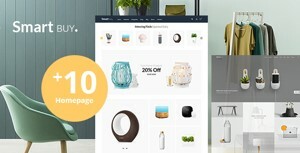 It is a multipurpose theme, which is suitable for art, electronics, computer, accessories, shoes, fashion, mobile, food, vegetables, furniture and any online stores. Berly is great for anyone looking for a small theme where features are really important. It’s clean and minimalistic design makes it the perfect choice. This portfolio template is suitable for personal portfolios, agency, freelancer, photography studios and much more. Deux is a WooCommerce that makes any business easier to carry out. 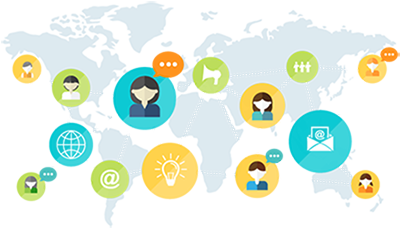 It promises a new experience in ways of selling products by using many advanced features. It also includes a refund feature which allows customers a hassle-free return process. 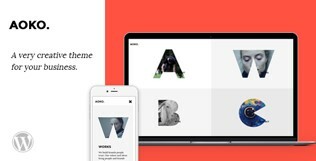 Aoko is a multi-responsive WordPress theme. It is suitable for company, design studio, portfolio and business websites. It has a creative and clean design, is fully responsive and has free updates and support. 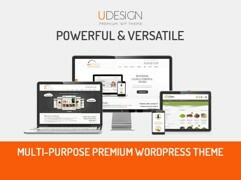 uDesign is a user-friendly and powerful theme. It can be used by both those who have no programming experience as well as advanced developers. A site can be built quickly and with minimal effort and sites can be transformed in seconds. 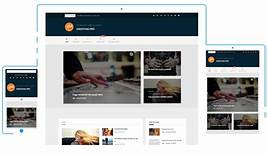 Eikra is a modern and clean WordPress Theme for use in all types of educational centers such as Schools, Colleges and Universities. 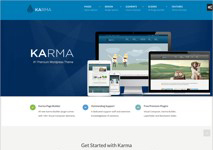 It is easy to use, and the Eikra Theme includes all the features and pages necessary for any educational institute. Fotofly is a WordPress Theme that is suitable for photographers, bloggers and designers and is perfect for those with a limited understanding of design and coding. It is very easy to use and includes an impressive selection of unique elements and options, which make it the WordPress one stop tool for photography. 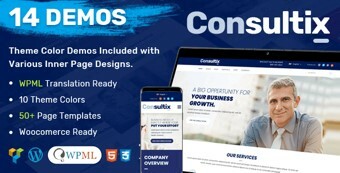 Consultix is a 100% mobile responsive corporate and extremely potent business and financial services WordPress theme that comes loaded with many features. It is ideally suited to small/mid-web business and organizations that are in the domain of corporate, consulting, business, legal advisory, financial services and wealth and tax consultancy etc. 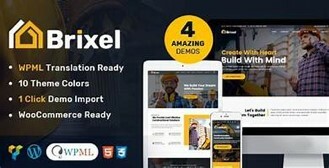 Brixel is a dynamic, versatile and cross-browser compatible WordPress theme for the construction industry and is ideal for small/mid-size and large organizations/enterprises worldwide. This theme provides the flexibility needed in order to be able to tailor an efficient construction firm/company website. Martfury is a flexible and modern WooCommerce Marketplace WordPress theme which is suited to a multi-vendor marketplace, furniture, electronic, clothing or hi-tech and accessories store. This theme allows you to create your own marketplace and allows vendors to sell like any well-known online market place does. Copious Responsive WordPress Theme includes many fantastic features together with some amazing designs. It is most suited to corporate websites such as financial advisors, consulting firms, accountants, insurance, tax help, investment and software firms. It is an entirely responsive theme which has been tested on all chief handheld devices. This is the most powerful extension for Visual Composter. It is a premium page builder that includes elements with thousands of combinations together with automatic plugin updates right to your dashboard. Yorke is designed for companies and businesses of all sizes and in all areas. 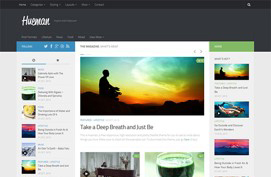 This is a fairly new WordPress theme and has numerous solid features and captivating designs. 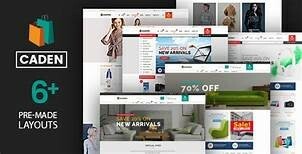 Amely is a modern and unique WordPress e-commerce theme which is built with Bootstrap and powered by Visual Composer. It is designed for use by digital, hi-tech, clothing and jewelry stores to name but a few and is integrated with WooCommerce which offers numerous plug-ins with loads of features. 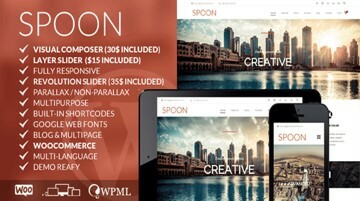 Spoons is a progressive WordPress theme that is based on the award-winning HTML template. It’s tasteful and fresh designs mean that it is suitable for any type of website. 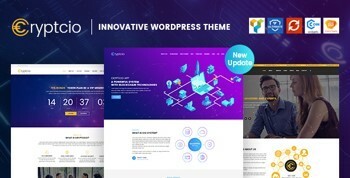 Cryptcio really is a stunning multi-purpose WordPress theme and is suitable for Cryptocurrency investments and ICO Agencies. It is perfect for showcasing popular digital currencies and investment consulting services. The main themes of Caden Mega Store WooCommerce WordPress theme are digital and fashion which make it perfect for online stores. 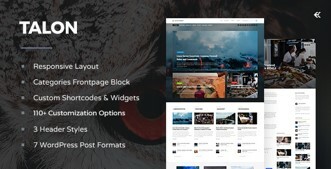 The Caden theme creates big blocks with CMS and WordPress plug-ins. 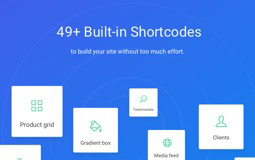 Uncode is a pixel perfect multi-purpose creative WordPress theme based on WPBakery page builder by Visual Composer. It’s modern and clean format means that it is suitable for any services or ecommerce shops. It also comes loaded with a tailored version of the famous drag ‘n’ drop WPBakery paged builder, Revolution Slier and iLightbox. 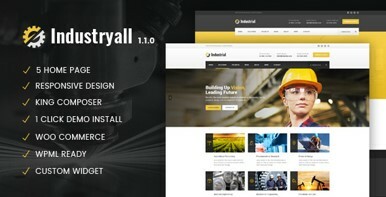 The Industryall WordPress theme is specifically designed for all types of electronic businesses, small factories, power, rail and airplane businesses. This theme has a niche design and is best suited to redesign and new concept industry businesses. 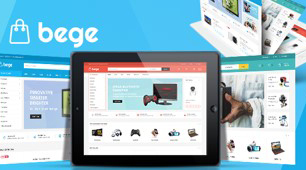 Bege is an incredibly bright and quality digital WordPress theme. It offers 4 home page layouts with an array of bright colors and is a great choice for online stores. It offers many features including Quickview Buttons that are commonly found on all merchandising websites and is extremely easy to install and use. Atomlab has an impressive design and its supreme features give any company a strong head start. It can be used as a productive tool to strengthen businesses, to boost sales and to improve the company’s reputation. 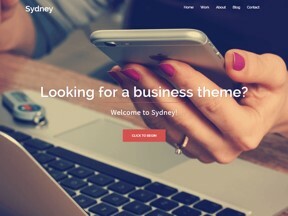 Sydney is a business theme which is fairly powerful that enables freelancers or companies to quickly create an online presence. It includes lots of customization features such as logo upload, full color control, stick navigation and loads more. 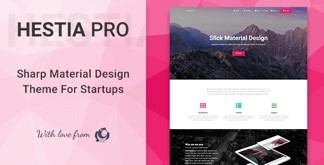 Hestia is a multi-purpose material design theme which is excellent for start-ups and is highly responsive. Talon is a business theme which is multi-purpose and was created using the most up to date technology. It is perfect for both companies and freelances and includes several customization opportunities. Flash is a FREE WordPress theme that is flexible, rich in features, straightforward to use and above all multi-purpose. 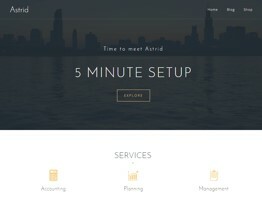 Astrid helps users to easily and quickly create fab business websites. All standard features are included such as custom widgets, fonts and color options – to name but a few. GreatMag is a magazine theme which is ultra-modern and provides users with the tools they need to build anything from a simple blog to an awesome new site. It includes a shed load of color options, custom widgets, font control and loads more. 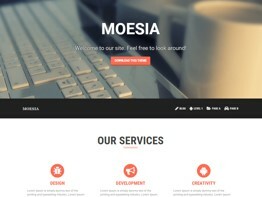 Moesia is a business theme that allows its users to build an online effective presence. Users have the choice of 11 blocks which are pre-defined to help them build the perfect homepage. Every homepage block can also include a parallax background image together with its own color set. 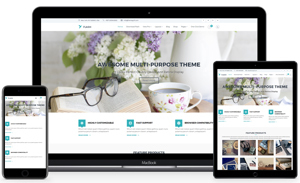 Allegiant is a multipurpose WordPress theme which is FREE. It is suited to professionals and agencies. It includes support for feature blocks, homepage sliders, team members AND testimonials – all thanks to the companion plugin CPO. This theme integrates seamlessly with plugins like Yoast, Contact Form 7 and WooCommerce. This theme helps users to engage visitors and increase their traffic. According to Google it is 100% mobile friendly and is fast loading. 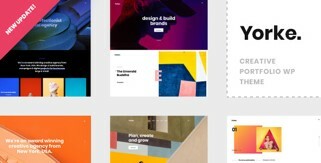 Vantage is a multi-purpose theme which is strong but flexible. It integrates with plugins such as Page Builder which in turn make for highly responsive page layouts, WooCommerce to help with online selling and Smart Slider 3 for big beautiful sliders. Vantage is retina ready and fully responsive. 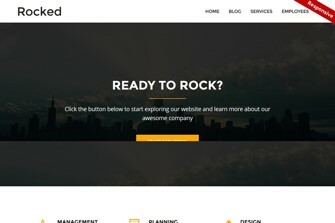 Rocked is a responsive business theme that is modern and provides its users with an easy and fast way to gain a corporate website (either for their clients or themselves). It features loads of options such as font control, logo and favicon uploads, multiple blog layouts, color control and loads more. 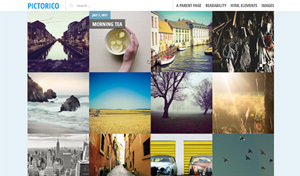 Alizee is a theme which is grid based and includes a fully responsive Masonry layout. 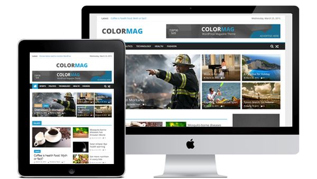 ColourMag is a WordPress magazine style them which is completely responsive. It is fab for magazines, newspapers, publishing and generally any kind of business site. 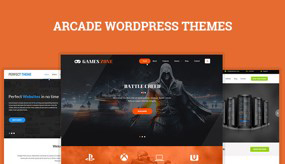 Arcade is a fully responsive yet lightweight HTML5 theme. Uses can implement the theme customizer and add their own page layouts, header images and site widths plus more. 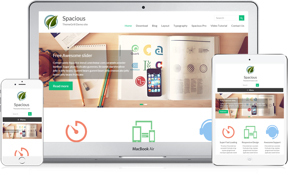 Spacious is a multipurpose responsive theme which is extremely spacious and designed and coded with heaps of love and care. It can be used for portfolios, business and blogging and on any site type. Bulan is a modern and clean WordPress blogging theme which is flexible in design and is suitable for beginners or experienced publishers. 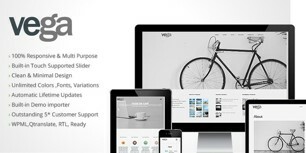 Vega is a one-page responsive business theme which is both minimal and clean. It is suitable for business websites, personal blogs, landing pages, business portfolios and all other creative websites. 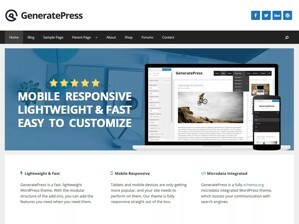 GeneratePress is a WordPress theme which is lightweight and fast, mobile responsive and designed with usability and SEO in the forefront. 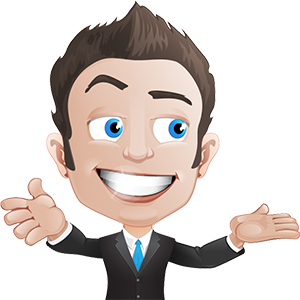 It is a great foundation for any website AND works really well with any page builder. 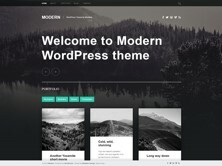 Modern is a WordPress theme designed by WebManDesign.eu and is ideal for personal portfolios. It is search engine optimized and includes a responsive design which is ready for both high resolution displays and mobile devices. 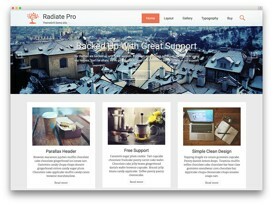 Radiate is a blogging theme supporting parallax header image which is light retina ready responsive, creative and clean. Through the WordPress customizer it can integrate custom background, custom CSS and primary color option. 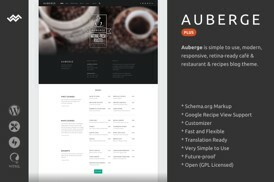 Auberge is a WordPress theme designed for recipe and modern restaurant blogs. It supports loads of plug-ins including the Beaver Builder page builder plug-in together with the Jetpack plugin to allow users to design nested food menus and includes loads of other really neat features. 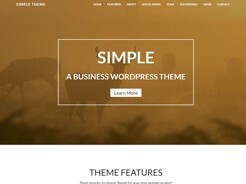 The Simple Business Theme Features is rich and sleek and offers users several sliders and page layouts, together with hundreds of Google Font options plus loads more. Tracks is a responsive theme which is beautiful and bold. It is ideal for magazines, photography websites and personal blogs. Included are more than 50 social media icons, comment display controls, premium layouts and logo uploaders to name but few. 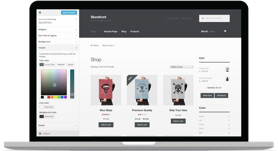 Storefront is developed and designed by WooCommerce Core developers and includes bespoke integration with WooCommerce. 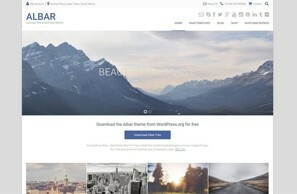 Albar is a WordPress theme which is both multi-purpose and responsive. It can used to build portfolio and business websites, blogging websites and online shops. 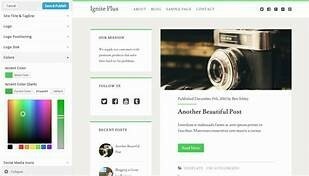 Ignite is a blog theme which is FREE, responsive and clean. It is perfect for personal and business websites due to its modern design and looks just as great on mobile devices, tablets and laptops. Cannyon is a WordPress theme which is elegant, creative and modern and is built in both CSS3 and HTML5. It can be used for most types of websites from corporate to creative, cosmetics to construction and food to television – nothing is out of bounds. 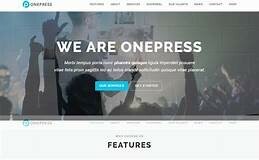 OnePress is a flexible and creative one-page theme. It is most suited to portfolio, product show case, business websites and freelancers – basically anyone who really appreciates a good design. 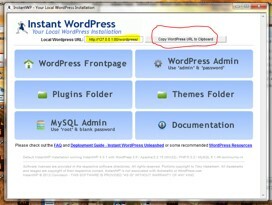 InstantWP is WordPress theme albeit rather minimal. That however, doesn’t stop it from having some fab features. 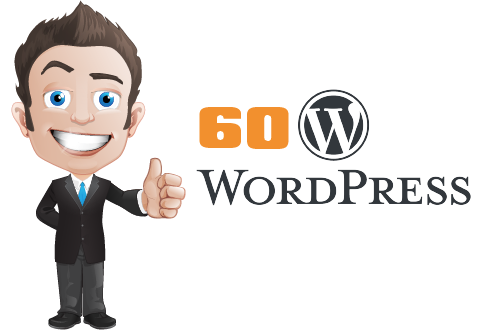 It is ideal for users who display portfolio items and manage WordPress blogs. Shibui is minimalist portfolio theme that is FREE and supports infinite scroll and masonry layouts. JustWrite is a theme that includes an open-spaced design with clean lines. 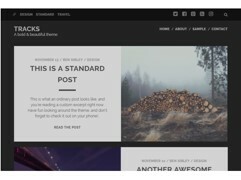 Metro WordPress Theme is both responsive and beautiful and is perfect for a blog or trendy website. 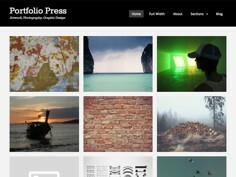 Portfolio Press is superb for users to showcase their art, photography or other projects. It is fully responsive and can also work well as a regular blog site. 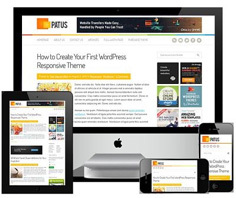 Patus is a WordPress theme designed for personal blogging. It is a seamlessly effortless tool for all types of publishers and is renowned for is speed, flexibility and clean layouts. 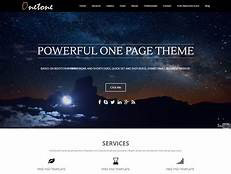 OneTone is a one-page WordPress theme which is ultra-responsive. It offers a clean and modern yet professional layout and is crafted specifically for creative start-ups and modern businesses. 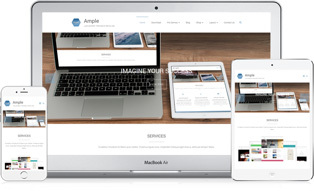 Ample is a WordPress theme which is responsive and multi-purpose. It enables users to create stunning professional sites in the quickest time possible. It includes several built-in options enable users to achieve the look they want for their site. Pictorico is a grid based, AA single-column theme. 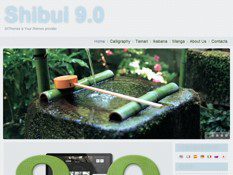 It includes a post slider together with large featured images and is ideal for a travel or photo blogging site. 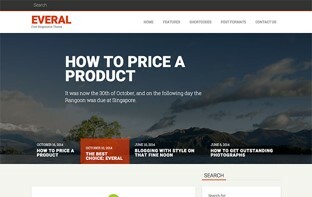 Everal is a WordPress blog theme which is a responsive, extremely customizable, clean, user friendly, and modern which was built specifically for its users. Pinnacle is a theme which includes multiple styles and versatile options. It comes fully loaded with tools and features which allows the user full creativity. It is best suited to any types of business, personal sites or online stores and is completely compatible with WooCommerce.